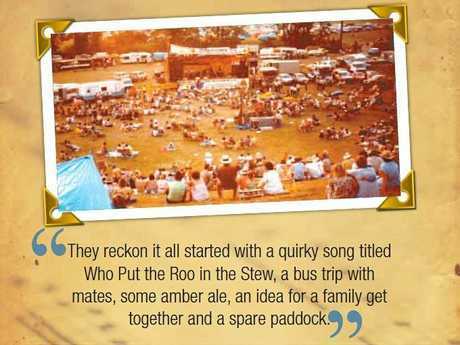 THEY reckon it all started with a quirky song titled Who Put the Roo in the Stew, a bus trip with mates, some amber ale, an idea for a family get together and a spare paddock. 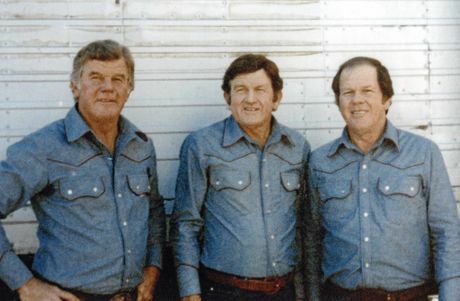 In January 1982, Gympie country music trio the Webb Brothers won a Golden Guitar Award for their original composition "Who Put the Roo in the Stew?" A few mates from Gympie had joined the Webb's coach trip to the Tamworth Country Music Festival to pick up their gong. Brian Sansom, Dan Prasser and Max Callan, all Apexians, had decided to go to Tamworth "just for the hell of it". On the trip home a hearty discussion was generated, lubricated, history has it, with a certain amount of "amber fluid" about how a similar event could be run in Gympie. "We got very enthusiastic," Brian recalled. On the bus with them was John McKenzie, now a radio announcer, but at the time the Webb Brothers' manager. John told them of his idea to hold a celebration at Thornside for the Webb Brothers' property's 100 year anniversary. Many discussions later, and with the blessing and support of Fabian, Marius and Berard Webb, the Webb family's music afternoon grew to a three day event. With Apex ready to organise the weekend and the Widgee community on-side with volunteer labour, a grassy Thornside paddock was transformed into a festival amphitheatre. Dan Prasser and Brian Sansom had earlier approached Brisbane-based Radio 4KQ, at the time a country music station, to help with marketing the event. After pitching their story, they were somewhat dejected when they were told the station could not help them. But a few hours later they received a phone call telling them the station had reconsidered the proposal and they would come on board. It was a massive confidence boost. The 1982 Muster was by far the biggest fundraiser the small Gympie Apex Club had ever been involved with and there had been some serious discussion on whether they could handle it. A $26,000 budget was presented - a very large amount in 1982. Enthusiasm and passion had fuelled the ambition and enthusiasm and passion coupled with hard yakka and true country spirit saw it come to fruition. It was the start of something that would grow like the proverbial Topsy, evolving into the largest outdoor country music event in Australia. 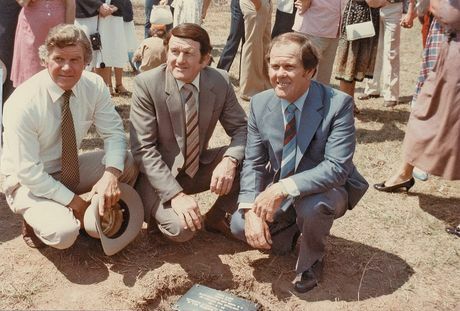 THE very first Muster was held on September 24-26, 1982 on 25 hectares of beautiful creek flats at Thornside - the Webb Brothers' property at Widgee, 32km west of Gympie. A meandering stream separated the open air entertainment area from the camping site and an old Ashton circus tent that would hold Saturday evening's famous Thornside Ball. Blessed with a natural amphitheatre, the stage was situated at the base with ground rising to a clear area on the hill where thousands of people could sit in comfort. That first Main Stage was a rustic affair, built from bush timber and borrowed Queensland Rail tarpaulins. 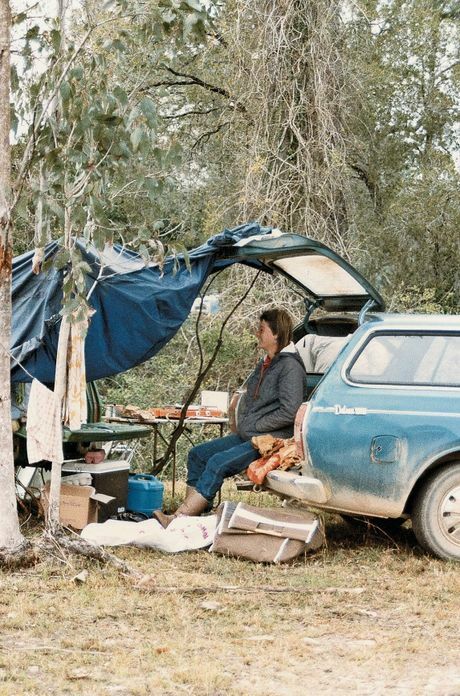 Showers were jam tins with holes punched in them, drinking water was trucked to the site and bush "drop hole" dunnies were, you could say, sufficient for the job. The 6000-strong crowd was predominantly country music enthusiasts, a mix of ages who sucked in the sweet country air as they unpacked their car and set up camp. Patrons purchased a season pass for $20. Announcers from 4KQ compered the show and SEQ Television produced a special program commemorating the event. Naturally, a highlight was the Webb Brothers and in particular their rousing rendition of Who Put the Roo in the Stew. In 1982 about $9,600 was spent on entertainment - around 2% of the current Muster budget. Around six thousand people attended the inaugural event and about $15,000 was raised for charity. Recipients included the Apex Children's Camp, St Vincent de Paul, Salvation Army, Nashville Scouts, the Kilkivan Swimming Pool committee, Widgee and Gympie community and local service clubs. From that tiny and some would say risky beginning sprung a bush bash fundraiser to rival them all. The Muster crowd in 1983. THE invitation was a trademark friendly one. "It is our pleasure to extend an invitation to all music lovers to come to our property for the Queensland Country Music Muster," said the Webb Brothers. "Thornside is the place to be for country music in '83." 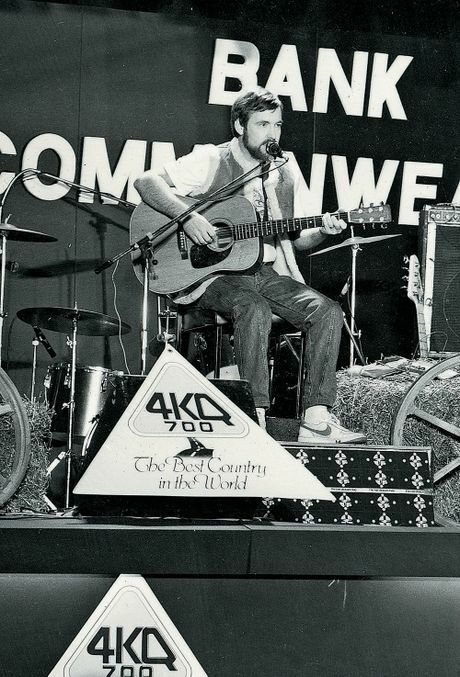 The 1983 4KQ-Webb Brothers Country Music Muster was shaping up to "set a record" wrote The Gympie Times. The festival was drawing fans from all over Australia. It was tools down as soon as possible for Gympie patrons keen to head out to Widgee, with the event kicking off on the night of Friday, August 26 and running through to Sunday. The Muster date had been changed from September with its tendency to spring storms, to what was, at least according to weather records, a traditionally dry period recalled Muster organiser Brian Sansom. Widespread interest generated during and after the inaugural 1982 Muster saw organisers anticipate increased support for the second event. Bookings were up 60% on the year before and the Muster ball, which catered for 1000, was "a sell-out". Bullamakanka, Cash Bachman and the Webb Brothers were all back on the program again by popular demand. Bullamakanka was enthusiastic about their Muster experience in '82, declaring it "fantastic". The group had just returned from Fort Worth, Texas, where they took part in a five day concert telecast throughout the USA. They had been voted best country group at the annual Australasian Country Music Awards in Tamworth earlier that year and invited to represent "God's Own Country" at the awards in Texas. From relative obscurity and with the unlikely name of Bullamakanka, the group recorded a self-titled debut album at the Music Farm, Byron Bay in 1982. 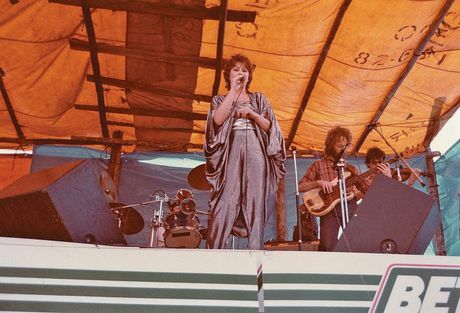 At the 1983 Gympie Muster, Bullamakanka was joined by John Williamson, Suzanne Prentice, Digger Revell and Rex Dallas. The program followed the same format as it had the year before, although the talent quest was dropped. It would not be gone forever, regenerating in another form to become one of the most popular aspects of the Muster. Jade Hurley at the Muster. 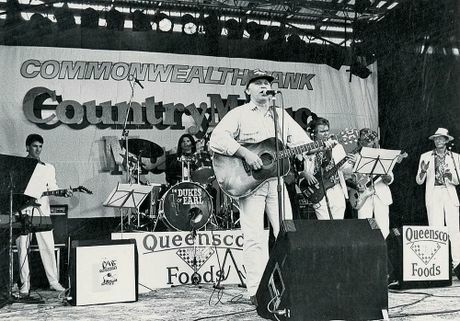 SIR Joh Bjelke-Petersen was a guest of honour at the 1984 Commonwealth Bank Country Music Muster's campfire concert that starry Saturday night. 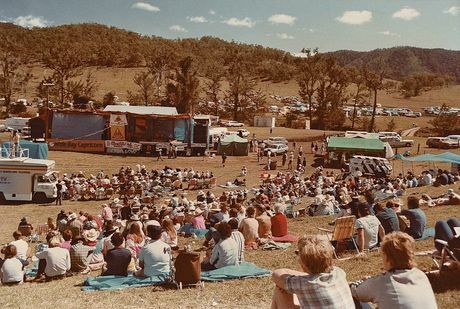 It was the Premier's first visit to the then Widgee-based event. "We're thrilled the Premier has made himself available to be at the muster," Fabian Webb said at the time. Advance bookings were three times higher than they were the previous year. Intending weekend visitors had booked 700 campsites and Gympie Apexians had risen to the challenge, replacing temporary toilet facilities with permanent concrete block structures. A heating system was installed to ensure there was hot water for the showers at any time of day. "Mr Muster" Brian Sansom was quoted as saying the 1984 Muster should set the seal on the event as a permanent annual fixture. He was right. Although the first Muster was held just a couple of years earlier, it had already established itself as the largest country music festival in Queensland. A wealth of country music talent was on show, including John Williamson, Bullamakanka, the Gattoni sisters, Ann Kirkpatrick, Jade Hurley, Venessa Venning, Chad Morgan Johnny Chester, Wickety Wak and the McCormack Brothers. 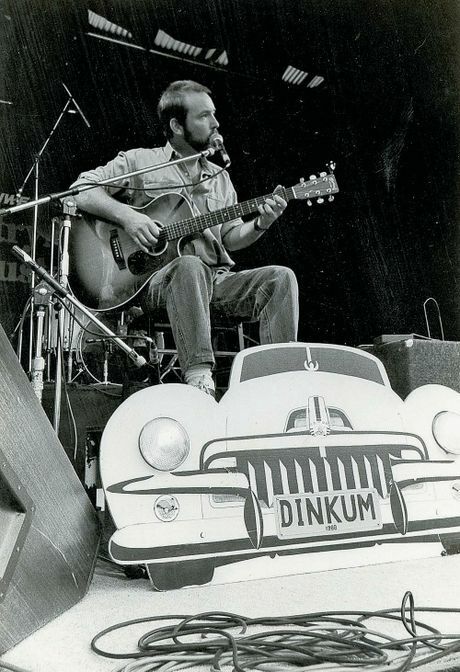 Wickety Wak performing hilariously onstage at the Muster in 1984. While the Muster was a favourite with locals, it was obvious the event was winning fans right across the nation with bookings streaming in from all over the country. Muster coordinator that year was Dennis Jurss who said the positive response reflected the wide scale promotion given by the Gympie and state-wide media. There were people coming from South Australia, Victoria and New South Wales. At least one Sydney patron flew up for the ball. A 30-strong television production team from the ABC filmed a live television special. The Webb Brothers closed the TV special with Click Go The Shears and Waltzing Matilda. The crowd loved it of course and swore to the mate beside them that they would be back next year. Syd Heylen, Cookie from popular television program A Country Practice on stage. 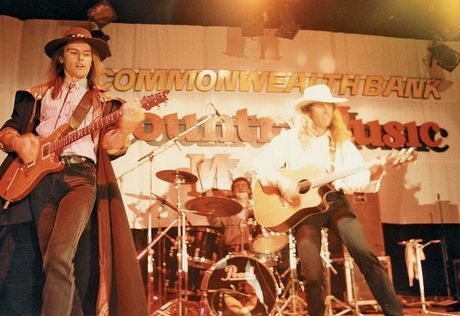 IT was a new era for the Commonwealth Bank Country Music Muster in 1985 with a move from its birthplace at the Webb Brothers' Widgee property Thornside to the Amamoor Creek State Forest Park - a glorious piece of Queensland countryside dominated by towering eucalyptus and watered by a pretty stream. Ever increasing crowds meant the event had outgrown its original site so the Muster Committee had looked for a new location where improvements could be made on public land. With the cooperation of the Department of Forestry, an idyllic spot was selected in the picturesque state forest south west of Gympie and Apexians spent many man hours developing it for the Muster. The unique agreement between the Forestry Department and the Gympie Apex Club enabled the club to develop and use the land for that purpose, with the facilities remaining available for visitors to the area at other times of the year. Gympie Apex Club's budget that year was $270,000 for the Muster, which included a CEP grant of $122,000 to develop the new site. This was a considerable increase from the first Muster's budget of just $26,000. That year saw The Bushwackers reform especially for the 1985 Muster. An Australian institution, the band's popularity in the early 80s was marked by dances attracting 4000-strong crowds. Despite their success, in 1984 The Bushwackers decided to call it a day. But the lure of the Muster was strong and the band got together for a special reunion performance - a highlight of Friday evening's Campfire Concert. Other entertainers that year included singer/songwriter Kim Durant, John McSweeney, Denis Walter, Wickety Wak, Jade Hurley, Syd Heylen ("Cookie" from TV's A Country Practice) and Lucky Starr. An army of workers prepared a three-course meal for around 1000 guests attending Saturday evening's Muster Ball. A huge dance floor was installed to allow for dancing and guests tripped the light fantastic to music by Rex Dallas and the Dallas Cowboys. In all, 24,000 people attended the 1985 Muster. Not a bad effort for a regional event born just four years before. 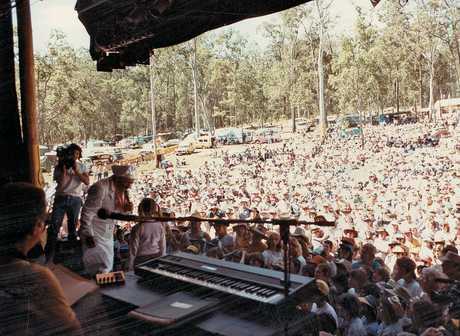 Normie Rowe performs for the crowd in 1986, the second year the Muster was held at Amamoor State Forest. THERE was a nice drop of rain leading up to the last weekend in August 1986, settling the dust for campers as they headed to Amamoor Creek State Forest Park, home of the Muster for the second year. The site had already been significantly improved to make camping as comfortable as possible and this year would be its official opening. 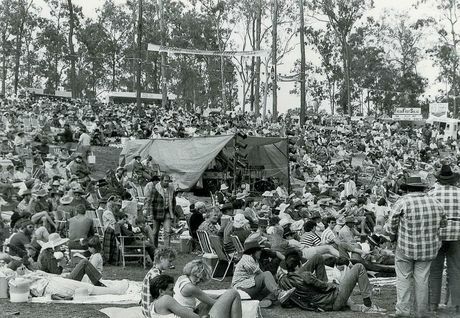 People from as far away as Western Australia were pitching tents as the crowd grew in readiness and excitement for the 1986 Apex Country Music Muster. Billies were on the boil, dampers were on the coals and the cream of Australia's country music talent was on the program. Attendance numbers were up on the year before. People were returning in droves and bringing their friends. 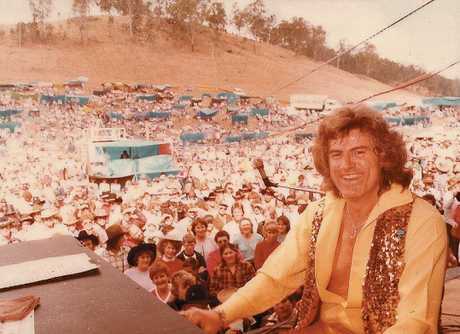 The Australian Broadcasting Corporation also returned to televise a national, one-hour live broadcast from the Muster on Saturday night with Slim Dusty, his daughter Anne Kirkpatrick and Bullamakanka the headlining acts. John Williamson on the Main Stage. It was the longest live link the ABC had ever done. And Muster organisers believed it was the first time Slim had appeared live on ABC television. The king of Australian country music's main performance on Sunday afternoon lifted the crowds' spirits to euphoric. The entertainment roundup included John Williamson, Normie Rowe, Tina Rouaen, Blue Heeler and Eddie Low. Former Gympie identity John MacKenzie - one time Webb Brothers manager and integral part of the inaugural event's planning days - joined the celebrations that year. And at a gala presentation at the Sheraton Hotel in Brisbane, the Commonwealth Bank Country Music Muster won the Queensland tourism award for "Best Festival". The Muster might have moved from its original site at Thornside but one thing was sure, it had retained the flavour of that first celebration and remained faithful to the traditional roots of Australian country music - the Australian bush. 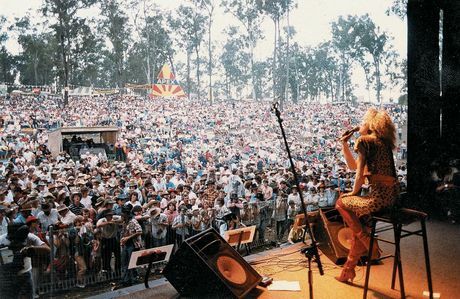 RESPLENDENTLY dressed, rocker Jade Hurley delivered a crowd-pleasing performance from the main stage of the Muster in 1987. Those staying for the weekend were treated the following night to the sounds of the ever popular Bullamakana. Blue Heeler group and Ted Egan were also highly popular entertainers that year, drawing their own followers to the Amamoor Creek State Forest Park. An estimated 40,000 country music lovers attended the event with about 15,000 on site at any one time. The then officer-in-charge of the Gympie Police Station Sergeant Des Fleming said about 400 campers had secured their site and were settled in the Thursday night before the Muster began, which he said was "very early for people to start arriving". At the close of the Muster, Sgt Fleming reported that a decision to license the whole area rather than create a small defined area in which alcohol may be consumed, had proven successful. He added the upgrading of toilet facilities had been beneficial and the decision to keep glass containers off-site had been worthwhile. Of the event, Gympie Times reporter Kev Pearce wrote, "Perhaps country music muster is something of a misnomer" given the rock component and artists who graced the stage. "But if people were short on country; the country wasn't short on people," he reported of the well-patronised event. The then chairman of the Gympie Apex Club Muster Committee, Paul Atkinson said a host of artists had approached him to say they felt good about appearing on the program and appreciated the wonderful reception they had received. It was onward and upward for the Muster. Don't Panic sings their song Muster had a Good Time on main stage in 1988. THE inaugural pre-Muster party was held in 1988 when the sound of guitars, hand-clapping and foot-stomping echoed down Mary St which was closed to traffic, creating a mall of country music mania. Rolf Harris made his Muster debut in 1988, pleasing the crowds with renditions of his much-loved favourites Two Little Boys, Jake the Peg and Tie Me Kangaroo Down Sport. Harris shared billing with Slim Dusty, Judith Durham, John Williamson, Smoky Dawson, Chad Morgan, James Blundell, The Cockroaches and Canadian singer Corrine Dawn. Kids Country - a program organised as a fundraising venture for the Gympie Uniting Church Child Care Centre in association with Family day Care Centre and Child Parent Support Group - was a parents' blessing. It meant the adults could enjoy the entertainment knowing their children were being well cared for with their own special entertainment program. Revelers have a great time on Muster hill. The 1988 Gympie Apex Club's Muster committee chairman Brendan McGarry said the event had "achieved a tremendous growth since those early days seven years ago". 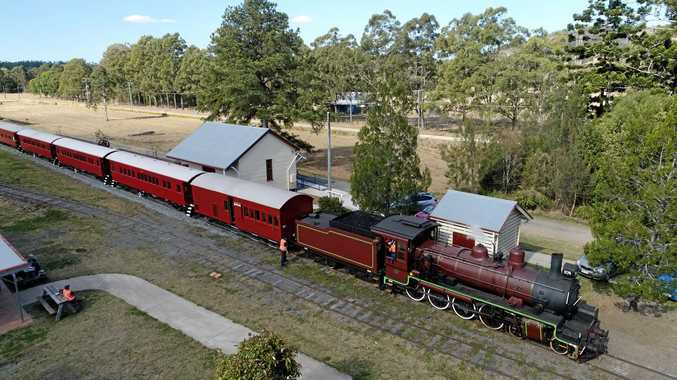 "In 1982, the first Muster was held as a once only event to help celebrate the centenary of Thornside, the Webb Brothers' property at Widgee and also the silver jubilee of the brothers entertaining but now the site has been developed by the Gympie Apex Club in conjunction with the State Forestry Department," he said. Craig Mathisen who managed what was then known as the Cooloola Regional Development Bureau, praised the Muster for the cash flow it gave to the region's economy. And it wasn't just the tourist dollar that helped businesses - profits from the event itself were distributed to community organisations which in turn made purchases from local business houses. Sponsors were also recognised as invaluable to the Muster's ongoing success, and in 1988, the Commonwealth Bank was the event's major sponsor. 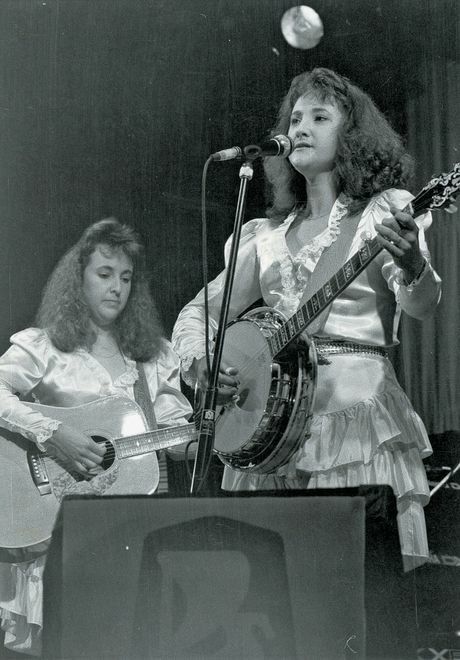 The Gottoni Sisters on main stage, 1989. EVIDENCE of heavy rainfalls the week before the 1989 Muster was just a memory as preparations for the annual music event got underway. And the pilot's dispute hadn't deterred the line-up of exceptional talent, including Col Joy, Judy Stone, Little Pattie, James Blundell and Lee Conway, from finding their way to the Amamoor Creek State Forest Park. Gympie Apex Muster co-ordinator Brian Sansom said, "We had to charter a lot of private flights and got everyone here bar two bands." A Leer jet was hired in Darwin to fly some performers to Gympie. The flight path was Darwin-Melbourne-Sydney-Gympie. Kybong International earned its title that year. Campers in the Datsun 180b. 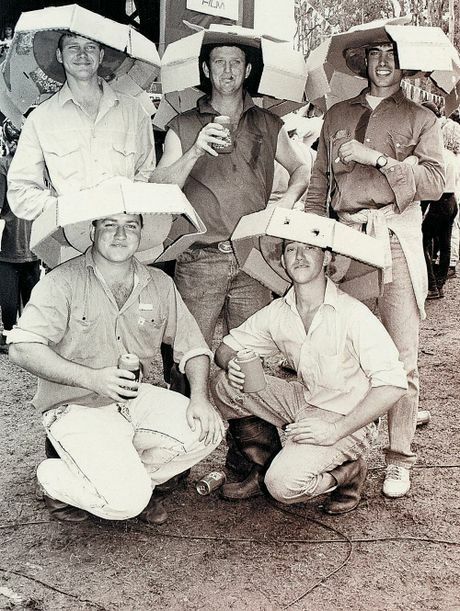 Touted as The Great Australian Weekend - the 1989 Muster had sustained damage during the recent deluges. The then Mayor Joan Dodt praised the volunteers who "gave up their weekends to restore the site to tip-top order". "The fact that last year's Muster attracted 40,000 visitors and realised a profit of $120,000 is sufficient testimony to the dedication of this small group of volunteers," Cr Dodt wrote about the Gympie Apex Club. One lucky Muster goer went home with a Samara Volante from Lada Motor Cars of Australia. The success of last year's Kids Country ensured its return this year with videos screening in the evening. It was also the first year that sit-down meals were on offer under the Sunshine Plantation Big Top, which was well received by Muster patrons. However, this did not take from the roaring trade at the Imbil Hotel and Amamoor general store although the Kandanga Hotel reported a slump in business because everyone who normally drank at the pub was at the Muster. Economy aside, it was reported that the weather and the Muster crowd were "fantastic".